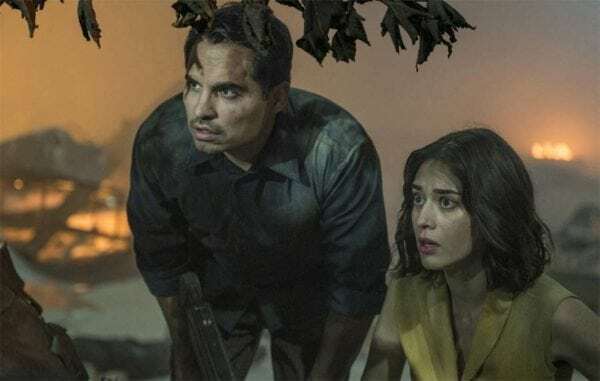 Starring Michael Peña, Lizzy Caplan, Mike Colter, Amelia Crouch and Erica Tremblay. A father has a recurring dream of losing his family. His nightmare turns into reality when the planet is invaded by a force bent on destruction. Fighting for their lives, he comes to realise an unknown strength to keep them safe from harm. 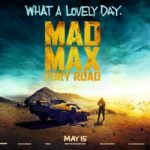 Accusing a film of delivering ‘’too little too late’’ is one of the most depressing criticisms that you can issue as a critic because it essentially implies that there is merit located somewhere, but unfortunately any such potential has been smothered beneath a viscous sludge of inadequacy. This is always a frustrating observation to have to make, because you end up resenting any hint of promise if it muddies the waters. After all, when something is consistently poor, at least you can write-it-off with relative ease and a sense of clarity. Yet if a movie has a glimmer of competence, then you start to feel guilty about condemning it, which just makes it harder to pull the proverbial trigger. Extinction would make a great case study in this, because whilst it’s quite pedestrian and dull in most respects, it’s not an outward travesty. On the contrary, it has nuggets of intrigue deposited throughout and towards the final act, it even manages to slightly redeem itself with an unexpected narrative development. The problem is that it’s simply not worth enduring the dramatically inert slog to get there. For a bit of context, this Michael Peña vehicle found itself in a state of limbo earlier this year, after its original distributors over at Universal decided that they were no longer keen. 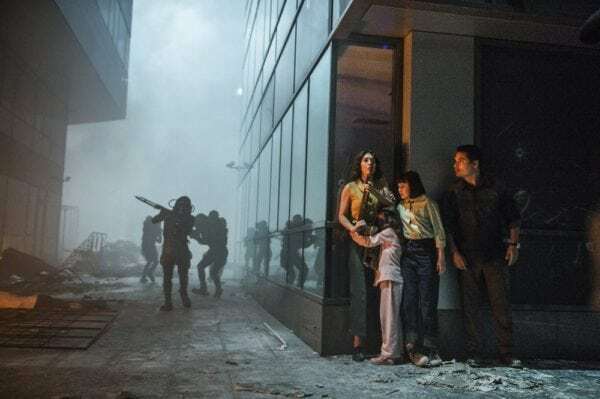 In what is becoming an increasingly frequent occurrence, a certain streaming giant took notice of this situation and promptly came to the rescue, adding the alien-invasion flick to its growing collection of orphaned Blockbusters. See the similarly lackluster Spectral, Tau and The Cloverfield Paradox for further reference. As with the other rejects that Netflix has scooped up, it doesn’t takes a forensic team to get to the bottom of what happened here. Obviously Universal commissioned what they expected to be a tantalising slice of science-fiction, with (apparently limited) involvement from the Oscar-nominated writer of Arrival and an up-and-coming director attached. Despite these encouraging credentials, the studio must have eventually discovered that they had made a bad investment. Eager to offload the stodgy end product, they were surely thrilled when Netflix came along offering a generous sum to take the abandoned project off their hands. It was definitely a saving grace because, without labouring the point, this glacially paced, utterly generic misfire would have tanked hard in theatres. In a nutshell, the film tells the story of Peter (Peña), a family man who is afflicted by recurring visions of an impending alien attack. Sometimes these fantasies plague his sleep, sometimes they interrupt his workplace daydreams, and often they come out of the blue entirely. The anxiety caused by this takes its toll on Peter, who becomes paranoid about his family’s safety. In turn, this leads to ongoing friction within the household, as the patriarch inadvertently neglects his children and pushes away his loving wife (Lizzy Caplan). In response, the latter seeks out psychiatric help, despite her husband’s insistence that he doesn’t need it. From that set-up, you might anticipate that the plot will go down a similar path to Close Encounters of the Third Kind, charting a marital breakdown or exploring the impact that global events can have on domestic life. Alternatively, it could also serve as the foundation for a gripping psychodrama, wherein the central mystery is whether or not the protagonist is suffering from some kind of delusion. 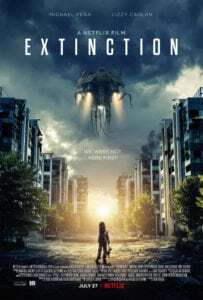 However, Extinction only explores these possibilities for the briefest sliver of its runtime, after which it abruptly jettisons any scope for creativity by confirming that Peter’s fears are 100% valid. 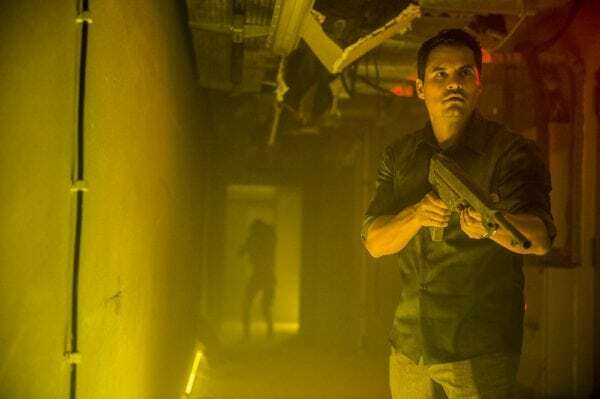 From this point onwards, the cerebral premise devolves into a thoroughly unengaging action movie, with the family fighting their way out of an apartment complex that is besieged by alien creatures. Think of it like The Raid crossed with Attack the Block, only far less enjoyable than that hook sounds. Sure, there’s nothing inherently bad about switching from intelligent, slow-burn fare to dumb schlock, but in this instance the film is doing itself a big disservice by going all-in on naff spectacle. Honestly, the bland and cheap looking pyrotechnics here are cookie-cutter at best, with set-pieces that are remarkably tensionless and shootouts that feel murky, poorly lit, and confusingly edited. Meanwhile, there’s a distinct lack of fresh ideas on display when it comes to the aliens, with director Ben Young pilfering liberally from the likes of Predator, District 9 and War of the Worlds. Worse still, it’s impossible to feel connected to the stony human characters, as they exhibit only mild concern when faced with extraterrestrial threats. This is especially true of the kids, who seem to have absolutely no self-preservation instincts whatsoever, putting themselves in harm’s way on multiple occasions in order to collect a stuffed teddy bear! Even the typically reliable talents of Caplan and Peña fail to get you invested, as they look about as disinterested as the audience, sporting blank facial expressions and low-energy performances. By gradually giving way to a hodgepodge of recycled tropes and uninspired visuals, Extinction give you no real incentive to persevere. As a result, it’s unlikely that you’ll make it to the legitimately interesting third act, where there’s a smart twist that could have salvaged this mess had it arrived earlier on. Alas, the filmmakers only have themselves to blame if you disengage before then. Too little too late indeed.